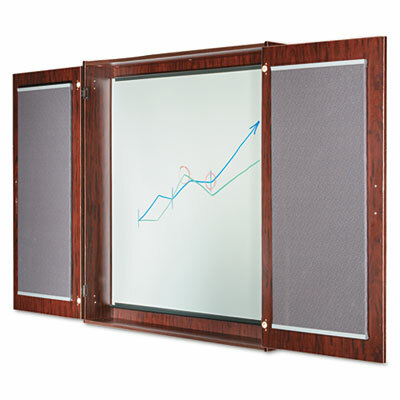 Multipurpose wall-mounting cabinet houses flat panel monitor, projection screen or whiteboard. Locking doors protect valuable contents. Wire management grommet routes cords for electronic monitor.